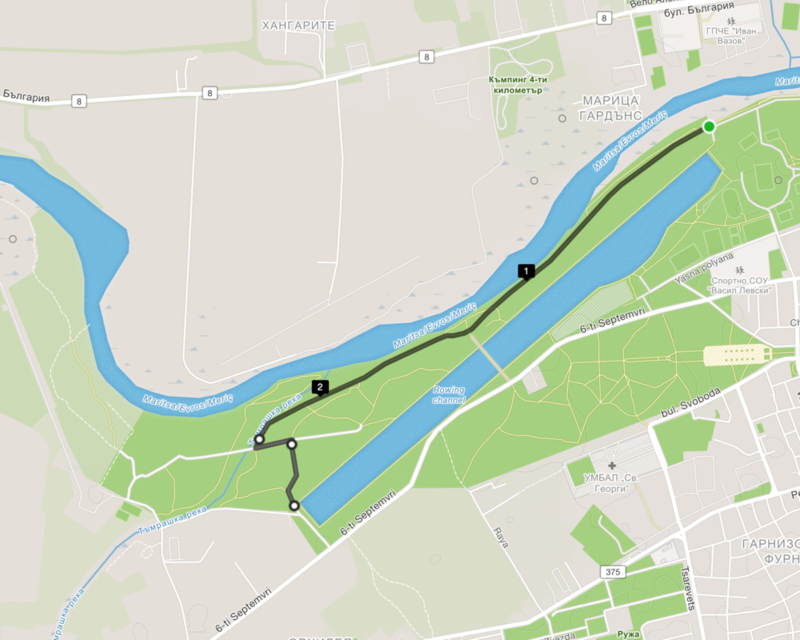 Grebna Baza, or the rowing base is a 2.2km (1.4)mile long rowing canal that forms part of a bigger series of athletic facilities in the western part of Plovdiv. It is a popular place to visit for a walk, coffee, a drink or even a run. Please keep in mind if you plan on visiting on a weekend, especially during nicer weather, there can be a fair number of people which can make running, especially at pace, difficult. In Plovdiv you have three main transport options, car, taxi and bus. Grebna Baza is accessible by bus lines 10, 15, 17, 22, 37 and 222. Of course given the size of the area you can check precisely what bus works best for you. It is also easily accessible by car, there are parking areas located throughout the area, but can be very busy during the weekend. You can find parking in front of the entrance to the stadium, along 6th September Blvd. that makes the southern border of the canal and at the western end of the canal. Starting near the inspection of towards Loven Complex, the route makes an anticlockwise loop of Grebna baza, leaving the main road where you started and finishing behind the stands. You have the opportunity to run this route Saturday mornings in race format with 5kmrun Bulgaria. This route is as simple as it gets but beware during weekends and good weather you will spend more time dodging people then running. 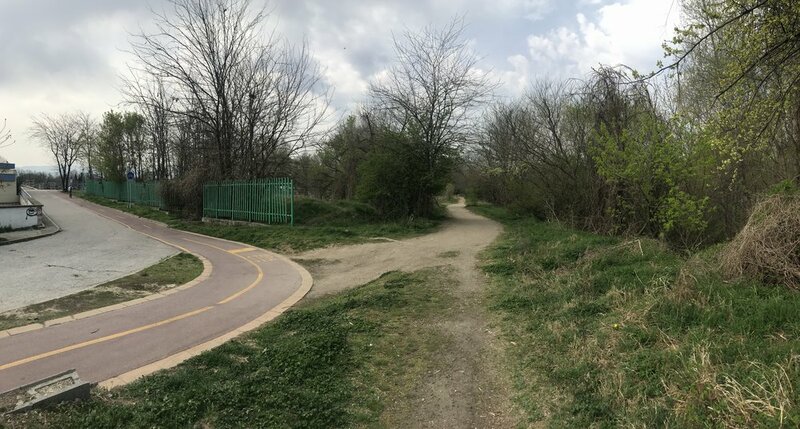 The Riverbank trail leaves from the last section of Maritsa Boulevard before you get to Grebna Baza. The trail continues straight (see picture below) when the road turns left up to the rowing channel. The trail has slight variations in elevations and a few sandy sections. During periods you can see the rowie pathng canal appearing between the trees. After 1.3km you will reach the turn off for the bridge across the rowing canal. Continue straight another kilometer and you will reach a small parking area here turn left for 100 meters then turn hard right for 200 meters and you find yourself at back at the rowing canal.